New guidelines on systolic blood pressure targets have just (Jan 2017) been issued for people aged 60 years and older with hypertension. The following 10 point plan will not only lower your blood pressure and help you meet the guidelines, but the exact same plan will reduce your cholesterol too. The guidance, issued jointly by the American College of Physicians (ACP) and the American Academy of Family Physicians calls for doctors to start treatment for patients who have persistent systolic blood pressure only at or above 150 mm Hg (millimetres of mercury). The aim is to achieve a target of less than 150 mm Hg in order to reduce risk for stroke, cardiac events and death. The recommendation was rated “strong, with high-quality evidence”. What’s significant is that, until recently, the advice was to achieve a much lower systolic blood pressure level of 120 mm Hg. And that a systolic level of between 120 and 139 was pre-hypertensive. Indeed that is still the official advice in the UK. 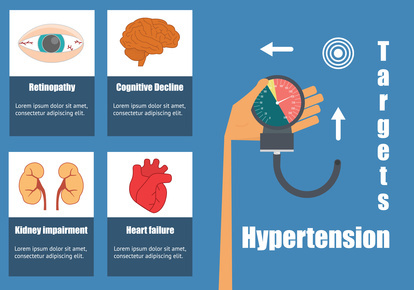 If, however, patients have a history of stroke or have high cardiovascular risk, the guidelines suggest that physicians should consider starting or increasing drug therapy to achieve systolic blood pressure of less than 140 mm Hg – in order to reduce risk for stroke and cardiac events. The authors note, however, that this recommendation was rated weak, with only moderate-quality evidence. The guidelines define ‘high cardiovascular risk’ as including patients with diabetes, vascular disease, metabolic syndrome, or chronic kidney disease, as well as older adults. They also advise that doctors should discuss the potential benefits and harms of specific blood pressure drugs and targets with the patient. The reviewers noted that most of the evidence for treatments to get patients below a target of 140 mm Hg come from a single trial called SPRINT (Systolic Blood Pressure Intervention Trial). This trial had a target of less than 120 mm Hg and found substantial reductions in cardiac events and deaths. However, another large trial called ACCORD (Action to Control Cardiovascular Risk in Diabetes) – which evaluated the same targets – did not show the same benefits. When you remove SPRINT data from the 20-study analysis, the effects on mortality were reduced and the effects on cardiovascular events were no longer significant, noted Dr Weiss, a lead researcher. There is no question that improving blood pressure control in older people (60+) can substantially reduce illness and mortality. Over 25% of adults in this age bracket have hypertension, and only about 15% of them are aware of their condition because it has no symptoms. Indeed an editorial in the Lancet calculated the risk of becoming hypertensive is greater than 90 percent for indi­viduals in developed countries! Following this 10 point plan will improve your health and normalise your blood pressure, without potentially dangerous drugs – whether you are aiming to reduce your Systolic Blood Pressure to below 140 or 120. 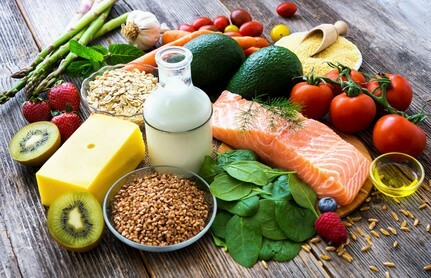 The eating plan known as the Dietary Approaches to Stop Hypertension (DASH) is rich in whole grains, fruits, vegetables and low-fat dairy products. Research shows it can lower your blood pressure by up to 14 mm Hg. The DASH diet is also an anti-inflammatory diet which will not only lower blood pressure but defend you against a range of illnesses. See this link: https://nutrishield.com/the-science/anti-inflammatory/. Reducing inflammation reduces hypertension. Inflammation is linked to the build-up of cholesterol on arterial walls, which narrows and restricts the blood vessels, which means that the heart has to pump harder, which increases blood pressure. Insulin plays an important role in high blood pressure, as many people with hypertension have insulin resistance. Eating sug­ars and excess carbohydrates – including bread, pasta, potatoes, or rice which are metabolised as sugars – will cause your insulin levels to remain elevated, leading to increased insulin resistance. To compensate, your body generates yet more insulin. It’s a vicious circle. Insulin encourages the uptake of magnesium, but if your body’s insulin receptors are compromised and your cells grow resistant to insulin, you will not store magnesium effectively. That’s a problem because magnesium relaxes muscles, especially those in your arterial network. If your magnesium level is too low, your blood vessels will tend to constrict rather than relax, which will raise your blood pressure. Insulin further affects your blood pressure by encouraging your body to retain sodium. Sodium retention causes fluid retention – which in turn causes high blood pressure. We in the West are getting too much omega-6 in our diets and far too little omega-3. Omega 6 fatty acids – found in polyunsaturated plant oils like safflower, sunflower and corn oil – are used by the body to produce hormones that promote inflammation. 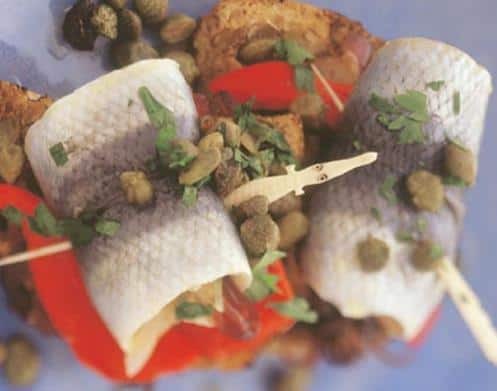 Omega 3 fatty acids (from oily fish) have the opposite effect – they are used to produce hormones that reduce inflammation – which as we’ve seen helps reduce blood pressure. Omega-3 fats have another benefit – they help to re-sensitize your insulin receptors if you suffer from insulin resistance. Omega-3 fats are typically found in flaxseed oil, walnut oil and fish, with fish being easily the best source. Weight loss is one of the most effective lifestyle changes for controlling blood pressure, because blood pressure often increases as weight increases. 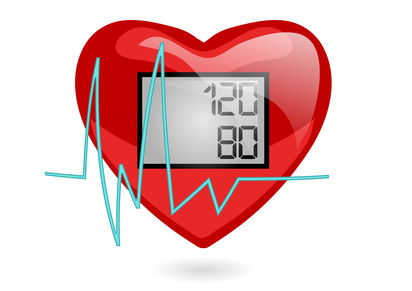 Losing just 10 pounds (4.5 kilograms) can help reduce your blood pressure by up to 5 points. 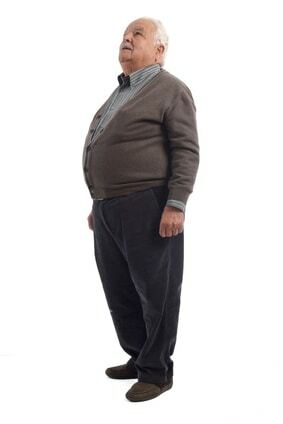 Men are at risk if their waist measurement is greater than 40 inches (102 cm). Even a small reduction in the sodium in your diet can reduce blood pressure by between 2 to 8 mm Hg. In fact only small amounts of sodium occur naturally in foods – most sodium is added during processing. So eat fewer processed foods. In cooking, add less standard table salt; replace with low-sodium, high-potassium salts or other herbs and spices. Add extra potassium to your diet which can lessen the effects of sodium on blood pressure. Good sources of potassium are bananas, avocadoes, spinach and sweet potatoes. Chronic stress is an important contributor to high blood pressure. It’s not stressful events themselves that are harmful, but your feelings of inability to cope. Studies show that people with heart disease can lower their risk of subsequent cardiac problems by over 70 percent simply by learning to manage their stress. So make time for this simple but effective de-stressing deep breathing exercise which can be done anywhere, and takes a short time but brings immediate results. Click to go to Instant Relaxation exercise. You might also want to listen to some classical music. A study at the University of Florence showed that listening for 30 minutes a day for 30 days while breathing calmly, could ‘significantly’ reduce blood pressure. Regular physical activity — at least 30 minutes on most days of the week — can lower your blood pressure by an average of 7 mm Hg. The best types of exercise for lowering blood pressure include walking, jogging, cycling, swimming or dancing. Strength training also can help reduce blood pressure as it helps to reduce insulin sensitivity. You should try to exercise to an intense level. ‘Intense’ means exerting yourself sufficiently that you are out of breath and can’t com­fortably talk to someone during your workout. Fast walking while swinging your arms is a simple way to ‘intensify’ your exercise. In small amounts, a drink can potentially lower your blood pressure by 2 to 4 mm Hg. But that protective effect vanishes if you drink too much alcohol. The limit is generally one drink a day for women (and men over age 65), or two a day for men under 65. One drink equals 150ml (5 fl oz) of wine. Does coffee increase blood pressure? The evidence is that it may increase your BP levels short term, possibly by blocking a hormone that dilates your arteries. Drink more decaf and try hibiscus tea which has been shown to help lower BP. Research shows that blood pressure is typi­cally higher in winter months than during the summer! That’s because sun exposure enable your body to produce vitamin D. Lack of sunlight re­duces your vitamin D levels. 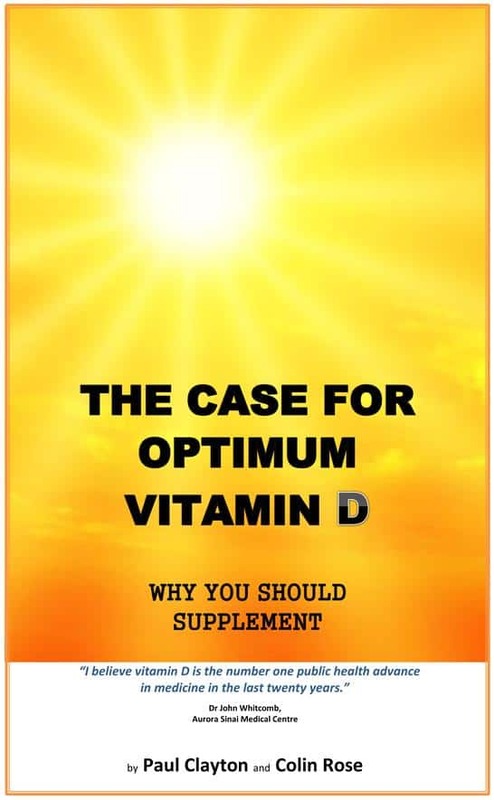 Vitamin D deficiency has been linked to insulin resistance and Metabolic Syndrome, a constellation of health problems that include elevated cholesterol and triglyceride levels, obesity, and high blood pressure. No one vitamin or nutrient will make a lot of difference on its own. It is a combination that can make a real difference to blood pressure levels – and health generally. Studies indicate that vitamins C and E can be helpful in lowering blood pressure, as can calcium and magnesium. The optimum level of vitamin C is 500mg a day – at which level there are other benefits too – including a reduction in cataract risk. Vitamin C has been shown to increase the body’s production of nitric oxide which helps keep blood vessels dilated. The optimum level for vitamin E is 70mg a day, ideally including all the tocopherols (d-alpha, d-beta, d-gamma and d-delta) – the “family” of vitamin E compounds that are more effective than simple d-alpha vitamin E.
Omega 3 fish oil should be included at a level of 1,000mg a day. To get that level you would need to eat oily fish 3 times a week, so a supplement is wise for most people. To which nutrients add the powerful anti-oxidant CoQ10 which, along with vitamin B6, helps dilate blood vessels. The University of Maryland examined several studies and found that supplementing with CoQ10 over 4-12 weeks could deliver a remarkable 17 point drop in systolic levels and 10 points in diastolic. Folic acid and the lesser known nutrient betaine are also important. They reduce the level of a blood protein called homocysteine. Homocysteine makes arteries less flexible and stiff – restricting blood flow and increasing blood pressure. Finally polyphenols – the protective compounds in fruits and vegetables and in green tea – have a role to play in reducing inflammation and hence indirectly, blood pressure. There is a supplement that includes all these nutrients and more. 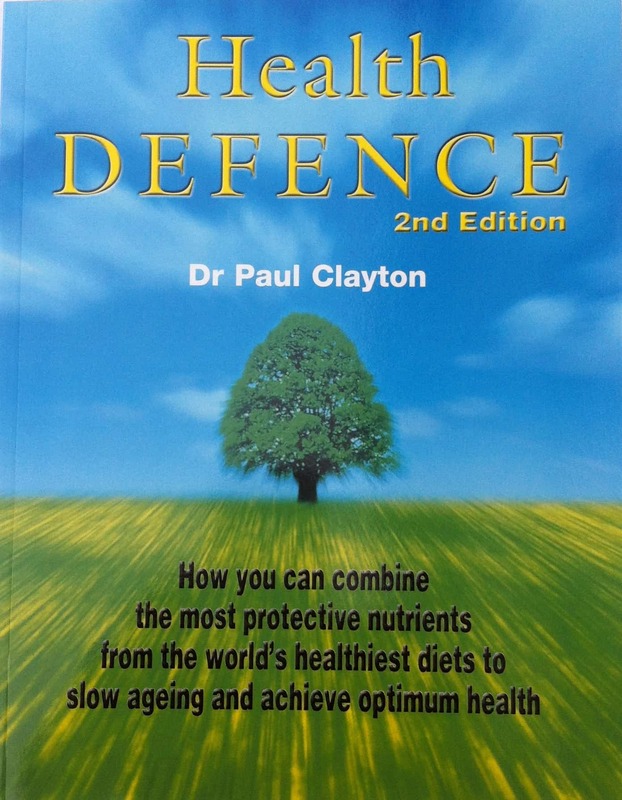 It was formulated by the former Chair of the Forum on Food and Health at the Royal Society of Medicine. It’s called NutriShield Premium – www.nutrishield.com. When a natural approach to preventing disease is available, it is a better choice than drugs. In the case of high blood pressure, the above 10 point plan is such a choice. Ann Intern Med, Published online January 17, 2017. Guidelines. Intracellular magnesium and insulin resistance. Takaya J1, Higashino H, Kobayashi Y. Magnes Res. 2004 Jun;17(2):126-36. Anyone interested in heart health should be aware of the little known, but powerful nutrient betaine. Betaine is a vitamin-like nutrient whose name comes from the fact that it was first found (in the 19th century) in sugar beet. 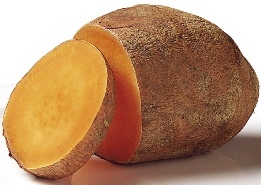 Other names for betaine are betaine anhydrous and TMG or trimethylglycine. Research shows that betaine in conjunction with vitamins B6, B12, and folic acid helps reduce levels of an amino acid called homocysteine. That’s important because other studies show that high levels of homocysteine encourage atherosclerosis or hardening of the arteries. Elevated levels of homocysteine in the blood (homocystenaemia) are strongly linked to increased risks of heart disease, stroke, osteoporosis and other diseases (1). Vitamins B6, B12 and folic acid are often used medically to lower homocysteine levels, but this combination is not always effective. However, when betaine is added to the other B vitamins, homocysteine levels fall by up to 75%, and there are immediate improvements in clinical condition (2). The results can be dramatic. When the betaine/B vitamins combination was given prophylactically (as a preventative measure) to patients with homocystenaemia, the incidence of heart attacks was reduced ten-fold, which was hugely significant (3). In another study, betaine was administered to subjects with coronary artery disease, and here it produced major improvements in their plasma lipid profiles (4). The US Food and Drug Administration (FDA) has approved betaine to treat a genetic condition where too much homocysteine builds up in the body. Fatty deposits in the liver can be caused by diabetes, obesity, alcohol abuse, and other causes. Studies in rats suggest that betaine may help protect against harmful fatty deposits in the liver. Preliminary studies in people have shown similar results. Just like some B vitamins, including folate and vitamin B12, betaine is considered to be a “methyl donor” ie. it adds methyl groups to other processes in the body. That is how it aids in liver function, detoxification and cellular functioning. Its key role is to help the body process fats. Betaine is also involved in cellular reproduction and helping make carnitine. And carnitine is critical to energy levels. Betaine (sometimes known as Vitamin B10) is already widely used by vets to help maintain the health of a variety of animal species in agriculture and aquaculture. Yet the medical profession remains resistant to (or ignorant of) the charms of this valuable micronutrient. You can help stay out of the doctors’ clutches longer by including betaine in your own diet. 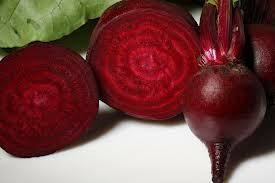 Dietary sources of betaine include sugar beet, beetroot and spinach. NutriShield is one of the very few supplements that has included this valuable nutrient ever since its launch 15 years ago!